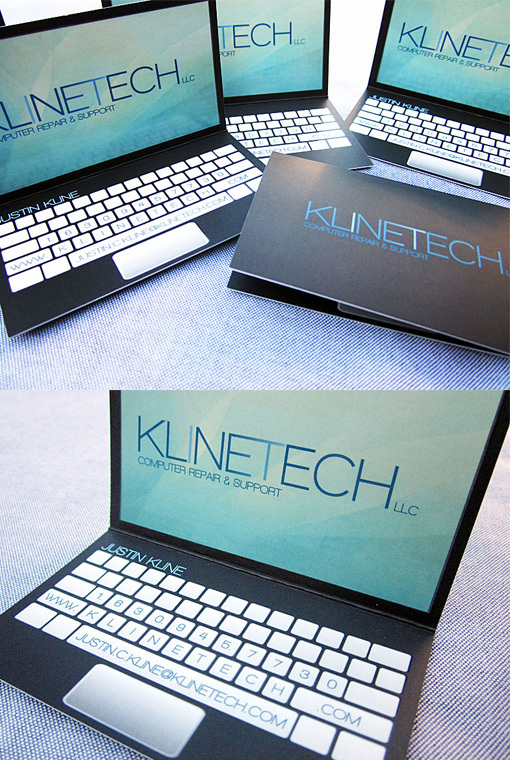 This card was designed for an IT services company and is designed to look like a laptop computer. The client wanted something fun, unique and simple and this was what I came up with. This card is printed on 16 pt cardstock. It has a silk laminated finish and has a UV spot gloss on the front and inside to give it a more realistic finish.